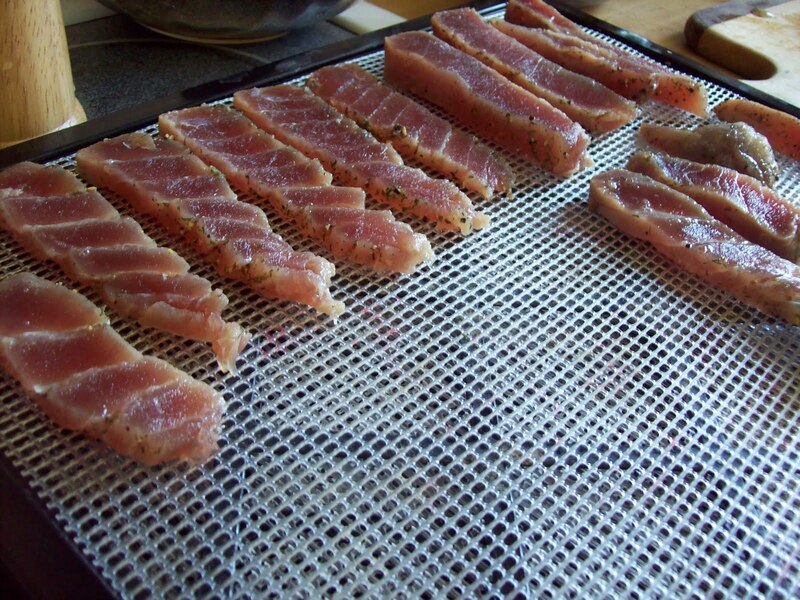 Fish jerky! 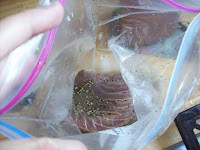 A slab of wild tuna, marinated with lemon juice, salt, pepper, and dill for 24 hours. 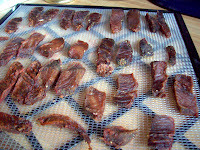 Dried on high 8 hours- fish jerky! Freeze for about an hour before slicing for easy slicing. I think the drying makes it taste less fishy. I don’t mind the taste of fish, but sometimes it’s nice to have it toned down a bit. Marinated in a Ziplock… not the most eco friendly choice, but it’s easy. Find good quality seafood here! I’ve never tried fish jerky. I will have to try this out. Thanks for the recipe! My husband and I live on a sailboat in the SW Caribbean. 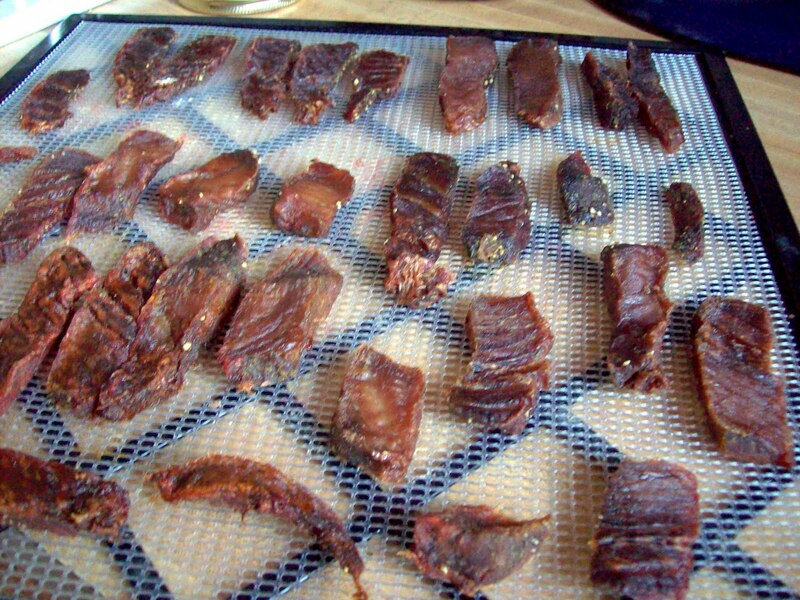 We have been making fish jerky for years. Now, I wish I could say I use your technique but all we have is the sun and wind to dry our fish. We started doing it with excess fish that we had caught. I never thought about how the Omega-3’s could come into play here…There ya go..Now another reason to keep on doing it. We’re lucky enough to belong to a co-op that sells fantastic fish jerky, but it does have a tiny bit of refined sugar, so I will definitely be trying this soon. Thanks! 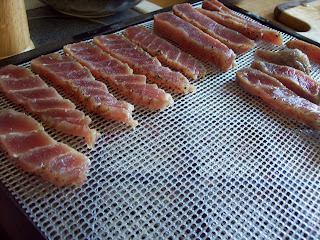 I would like to learn how to make fish jerky. We get all sorts of fish here, mostly tuna. It will be a great help to learn this technique and can you tell me what equipment is needed.